Carl Rabeler is a Content Strategist on the Microsoft Azure SQL team. In this role, he is much more that just a document writer. Carl works closely with the Customer Advisory Team (CAT), the MVP community and TIGER teams who support the most complex enterprise customer solutions. In this 11 minute interview during the 2017 PASS Summit, Carl shares the teams’ strategies for analyzing content searches, reader and viewership analytics to move ahead of the curve and predict the kinds of learning and support documentation Microsoft users will find most valuable in the future. He told me how product instrumentation, site search metadata and direct customer feedback allow them to target content that users need now, rather then waiting for comments and revisions. The primary product documentation store is now hosted in Docs.Microsoft.com, which is an open Git repository where users can contribute and edit existing docs, which are then curated by the Microsoft product teams. Between timely and aggressive technical content authoring, open source collaborative curation and advanced analytics performed on content search and usage, Microsoft is much better equipped to serve the masses and meet the needs of users who have very specific product usage requirements. 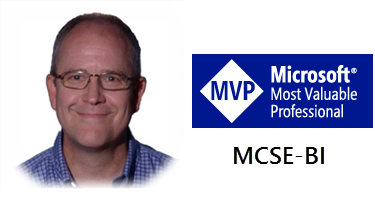 Carl and I have worked together over the past 10-12 years through several Microsoft product team interactions, MVP Summit sessions, and we worked on consulting client projects for a number of years through SolidQ – aka Solid Quality Mentors. He was the guy we flew out to work on the big architecture configuration solutions when we needed the three-headed dog from Hell to play nicely with SharePoint and every conceivable service connecting through it. Next time you go searching for how to encrypt a server connection, know that Carl and his team of content curators are looking for the best way to get you the answers you need in the most effective way possible.